Meet the NYJW Music Teachers! NYJW music teachers are available for in-person private music lessons in New York City and online private music lessons from anywhere in the world. You won’t find a better list of amazing teachers for guitar, piano, drums, bass, voice, saxophone, trumpet, trombone, clarinet, flute, percussion, violin, composition and more! We guarantee that our diverse music faculty list offers the most convenient, effective, and affordable options for your specific music-learning needs. Each of the NYJW music teachers is a professional musician and educator with several recordings to his or her credit. 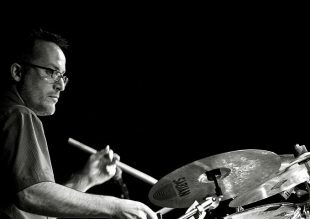 Our faculty members can be seen performing at prominent jazz venues around NYC and in major jazz festivals around the world. Many of our teachers are associated with renowned conservatories and universities such as NYU, The New School, Columbia University, Manhattan School of Music, Berklee and Juilliard. All of our teachers are outstanding people that truly enjoy teaching music and see their students grow musically.